Caption slip reads: "Photographer: Wesselmann. Date: 1954-04-28. Reporter: turner: Assignment: Car into building at Vermont and Beverly. 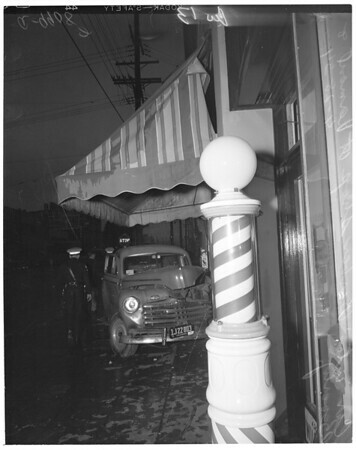 13: Shows car headed into barber shop."